VANCOUVER, B.C. 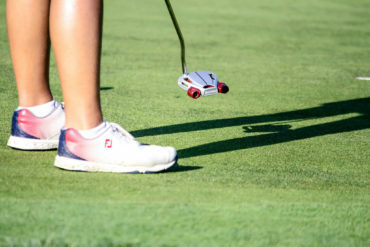 – Yealimi Noh shot even par 71 to capture the Duchess of Connaught Gold Cup at the 105th playing of the Canadian Women’s Amateur Championship on Friday at Marine Drive. It was another beautiful sunny day and Noh carded a single birdie and a single bogey to shoot her only round in the 70s. Noh and Dylan Kim duked it out all day. Noh made the turn even after recording her only birdie and only bogey and Kim made the turn also firing a birdie and bogey but still sat one shot ahead. It wasn’t until Kim bogeyed hole 11 where the duo sat tied through the next 6 holes. Coming up to the 18th tee the two sat tied at even par. Kim pulled her tee off to the left in the rough and hit her second shot fat and it landed only about 20 or 30 yards ahead, that’s when Noh knew she had a chance to take the lead and decided to change her club. “I changed clubs, I was about to hit the yardage but then I just wanted to be safe and I’m just going to hit it on the green. 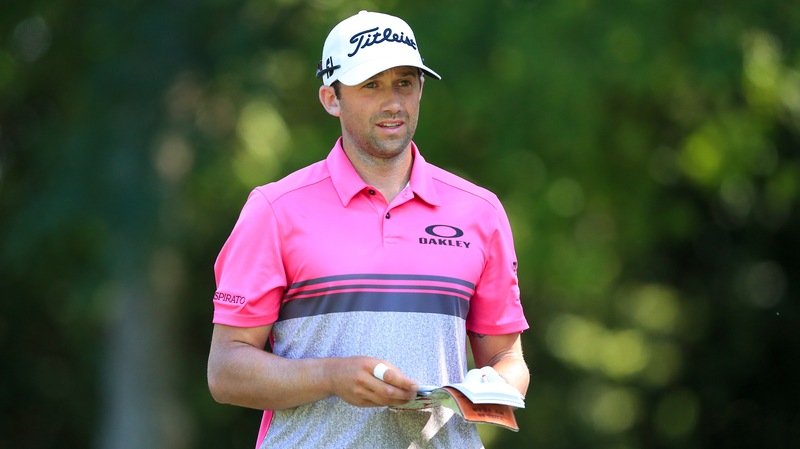 I clubbed up and just hit a short shot, I was just going for the green,” said the 17-year-old. Noh hit her ball off the fairway on to the left of the green and successfully pared the hole where Kim bogeyed it. “I didn’t think at the beginning of the day I would win. I thought I would shoot at least a couple under, because there was also the other group in front of us. I never try to let my guard down. I think coming through 16, 17, 18 I wasn’t really thinking about it, just wanted to get through each hole.” said Noh. 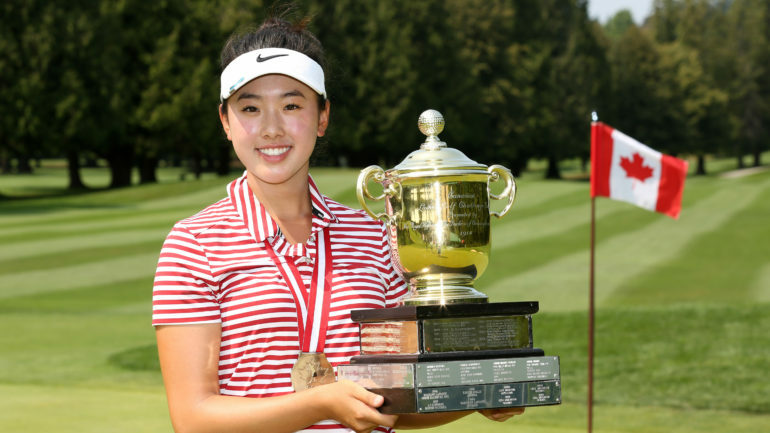 Just this month Noh has won the U.S. Girls’ Junior Championship and the Girl’s Junior PGA Championship, as well as celebrated her 17th birthday on July 26. Kim finished 2-over for the day and a total score of 10-under 274 for the tournament. The 21-year-old from Sachse, Tex. took home the silver medal as well as the Marlene Stewart Streit trophy which, after almost 15 years, was reinstated this year. Tiffany Kong remained the low scoring Canadian. She finished the tournament 2-over 286 with a share of 14. The Vancouver B.C. native has earned exemption into this year’s CP Women’s Open in August. 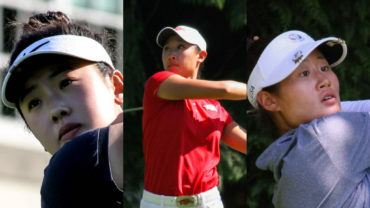 Kong is excited at opportunity to play this year at the CP Women’s Open and feels better equipped to play this year than she did three years ago, at age 14, when she played in the CP Women’s Open at Vancouver Golf Club. “Well, three years ago I was hitting decent for my age but compared to the pros I was like 60 yards behind — hi, I’m way back here. I had to hit 3-woods onto some greens. There were some holes where I couldn’t even reach it with a 3-wood. So now I think I have a better chance of playing better.” said Kong. Three players walked away with a share of third after carding 9-under 275: Lilia Kha-Tu Vu from Fountain Valley, Calif., Allisen Corpuz from Waipahu, HI. and Gina Kim from Chapel Hill, N.C.
Noh’s victory earns her an exemption into both the 2018 U.S. Women’s Amateur Championship and the CP Women’s Open at Wascana Country Club on August 20-26, 2018.